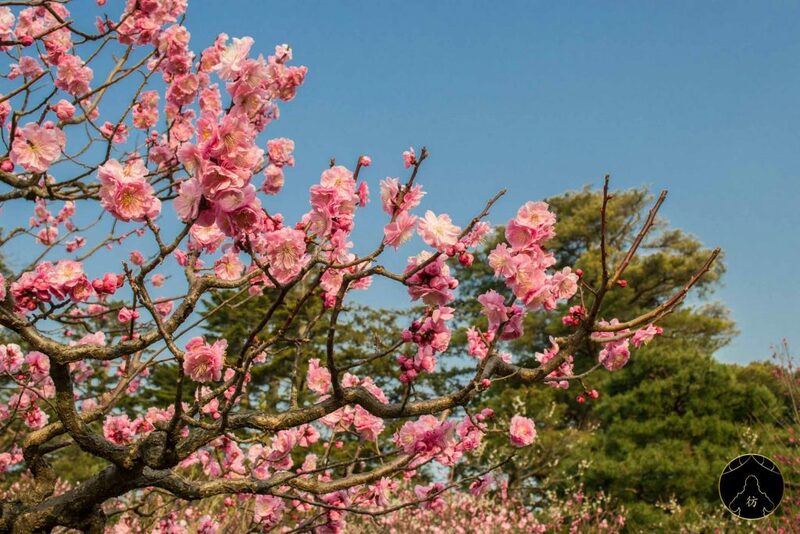 Kanazawa Japan – Make yourself comfortable because today, we’re going to the beautiful capital of Ishikawa Prefecture, north of Gifu Prefecture! Kanazawa literally means “marsh of gold” in Japanese. If you’re wondering why, the name is said to be derived from the legend of a peasant who found large quantities of gold as he was digging the land to plant vegetables. That’s how a Kanazawa gold rush took place during the Middle Ages, making of Kanazawa one of the most populated Japanese cities at that time. Even today, references to the precious metal can be found in some parts of the city, but we’ll come to that later. Let’s review your transportation and accommodation options first before we explore the city. To go to Kanazawa, the train remains your best option. 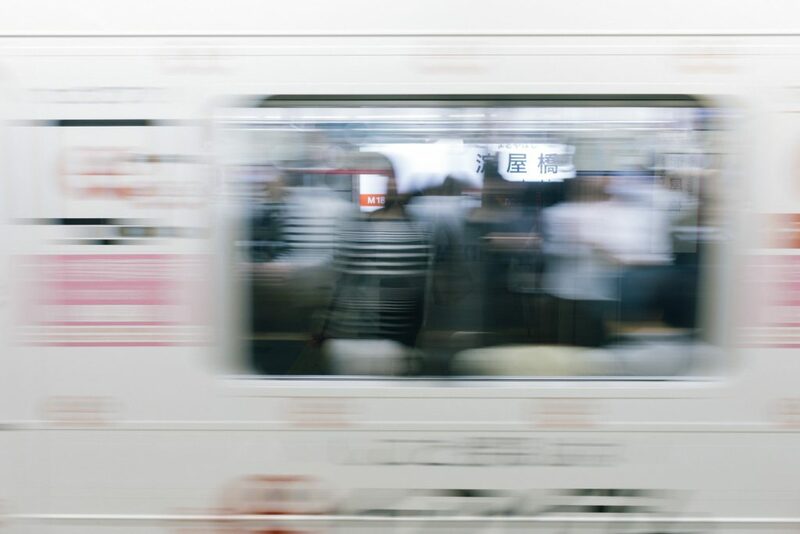 If you’re coming from Tokyo, keep in mind that Kanazawa has been served by the Shinkansen train since 2014, so there’s a faster way to the capital. 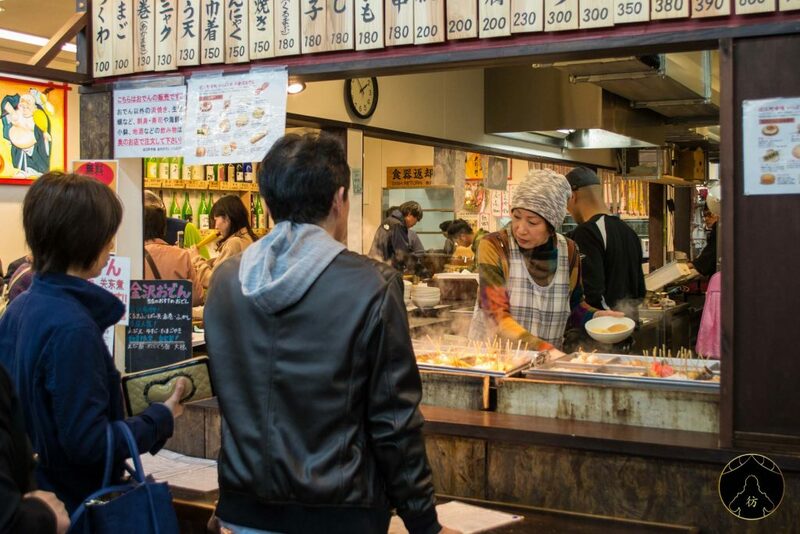 The trip lasts about 2 hours and 30 minutes from the Tokyo station, and costs around 15,000 yen (~ $140). I went to Kanazawa from Gifu Prefecture. So I took the train from Takayama, went through the city of Toyama and finally got to Kanazawa. 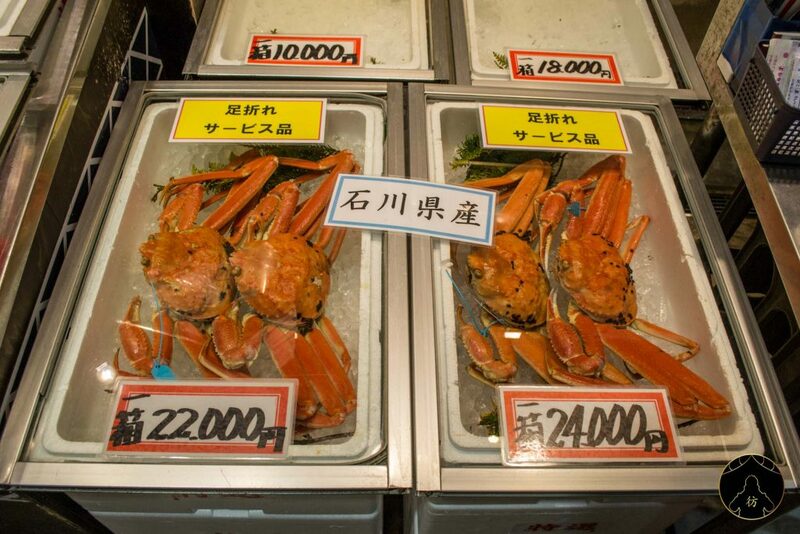 The trip lasted a little over 2 hours and cost 7,000 yen (~ $65). 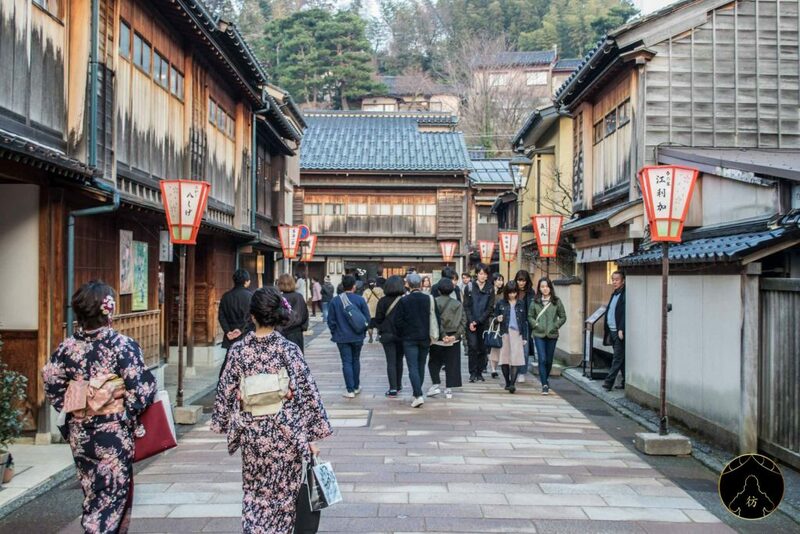 When it comes to local transportation, Kanazawa is not a very big city, so you can easily explore it on foot. Just wear comfortable shoes, have some water now and then, and everything should be fine. If you want to stay for the night in Kanazawa, in a cheap but comfortable hostel, you can go to Share Hotels Hatchi Kanazawa. 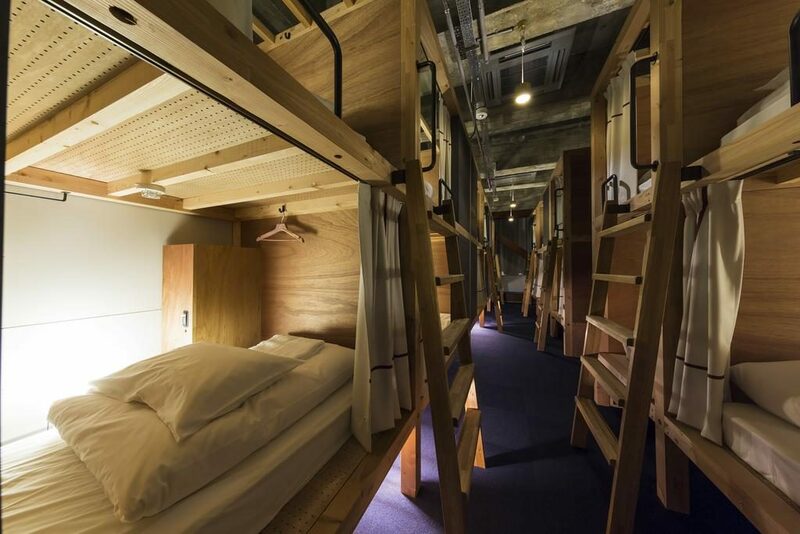 It’s a little more than $20 a night for a dorm bed but you will get exactly what you pay for. 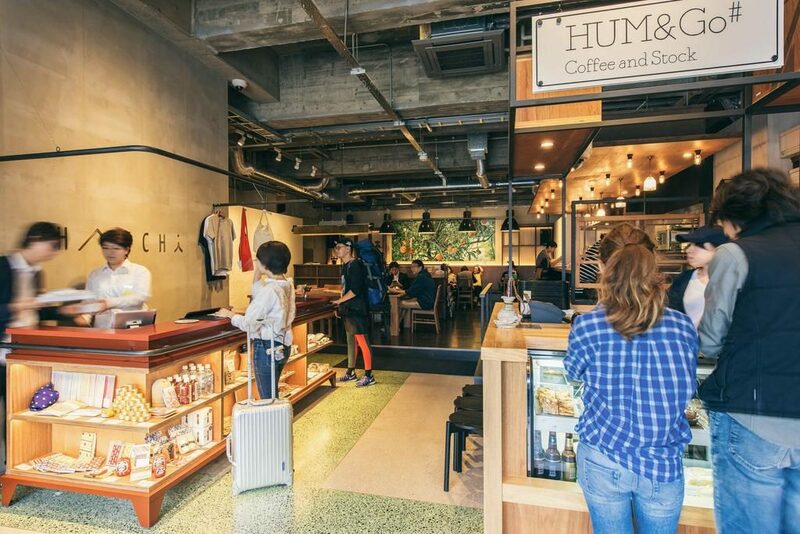 Everything is clean and neat, the staff is very friendly and the hostel is located at a 5-minute walk from the old Higashi Chaya district which we will talk about later. 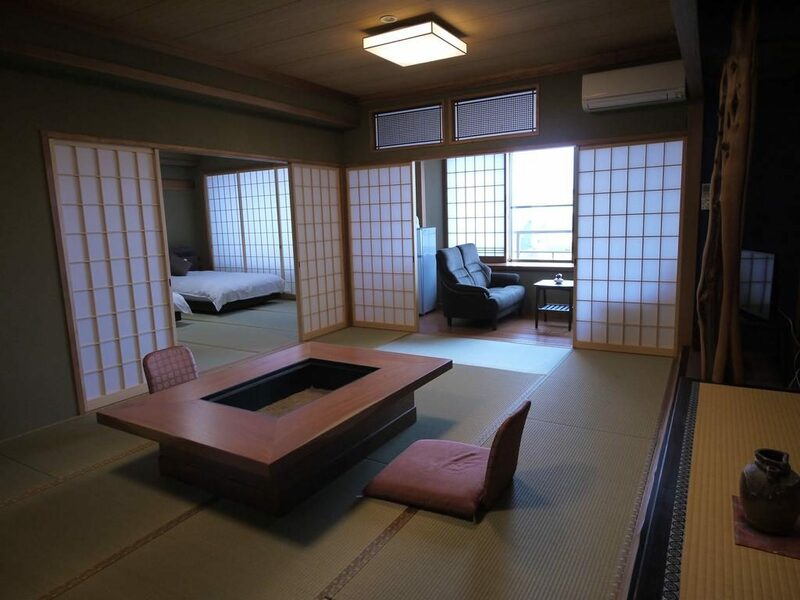 If you’d like to treat yourself to a traditional Japanese atmosphere, you can try the beautiful Yuyaruru Saisai ryokan. 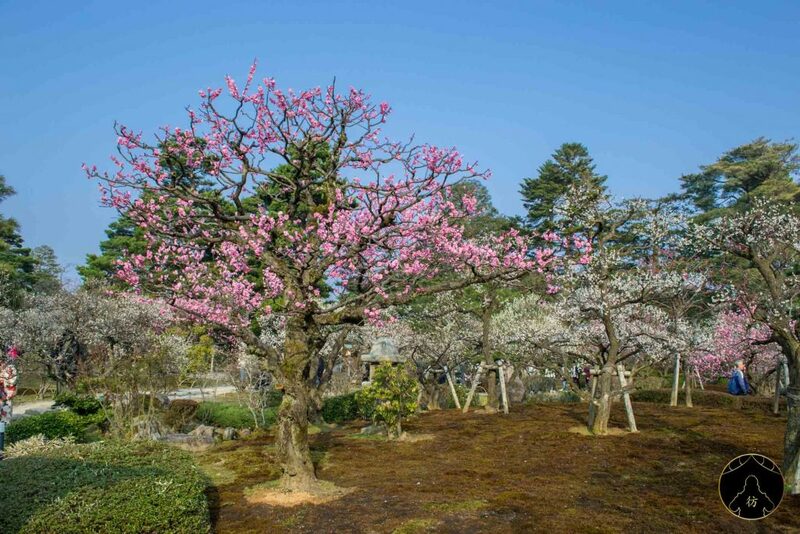 It is located south of the city, within walking distance of Kenroku-en Garden, and offers Japanese-style rooms with tatami, futon and a traditional breakfast. 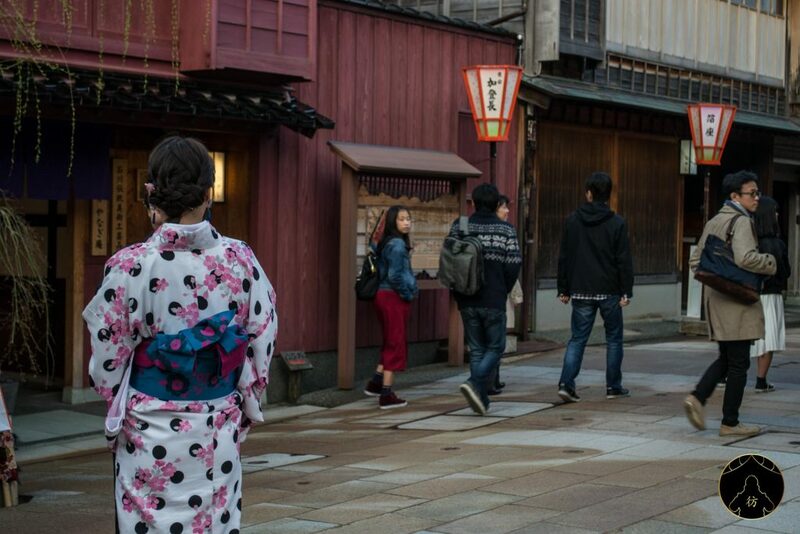 Staying at a ryokan will be a unique experience for all your senses so I really encourage you to spend a few nights in these traditional inns to truly immerse yourself in the local culture. You’re all set to go to Kanazawa! Here’s a list of 9 attractions you should absolutely visit! I’m not listing these in order of priority but rather suggesting a circuit you can follow and that should take you at least a day to complete. 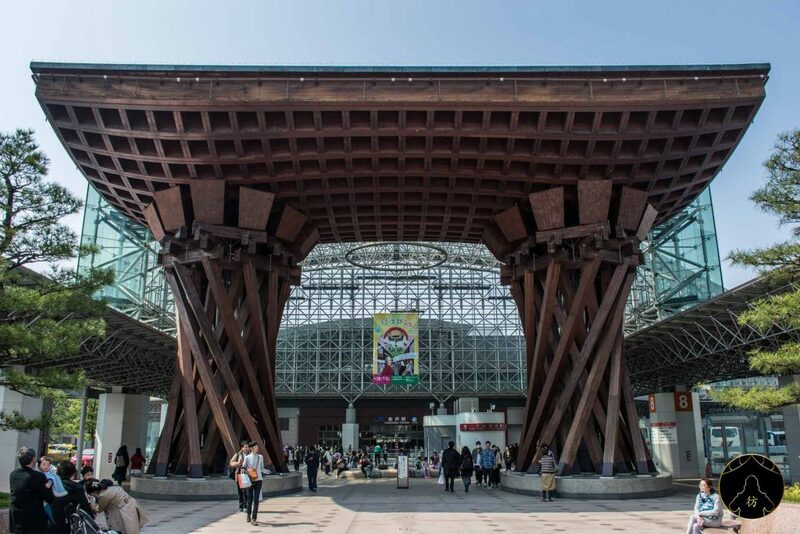 You can’t miss the beautiful Tsuzumi-mon gate of Kanazawa’s Railway Station. It is 14 meters high and I’m sure you’ll be impressed! Its construction ended in 2005 and it is entirely made of wood. You’ll see it right after the huge glass dome of the station. Although this door looks like a torii, it actually represents a tsuzumi, a traditional Japanese drum, hence the name. 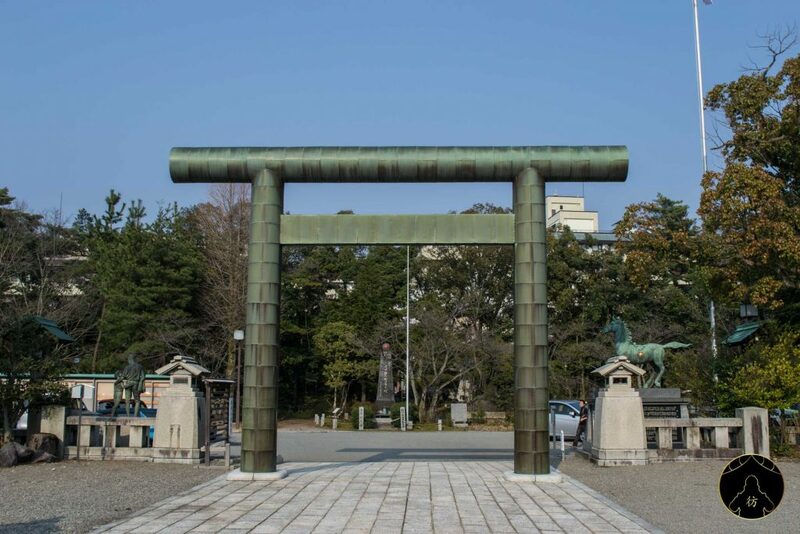 It is therefore not a sacred door like the ones you see at the entrance of sanctuaries but rather a reference to traditional Japanese culture. Kanazawa Station is obviously not an ordinary station. 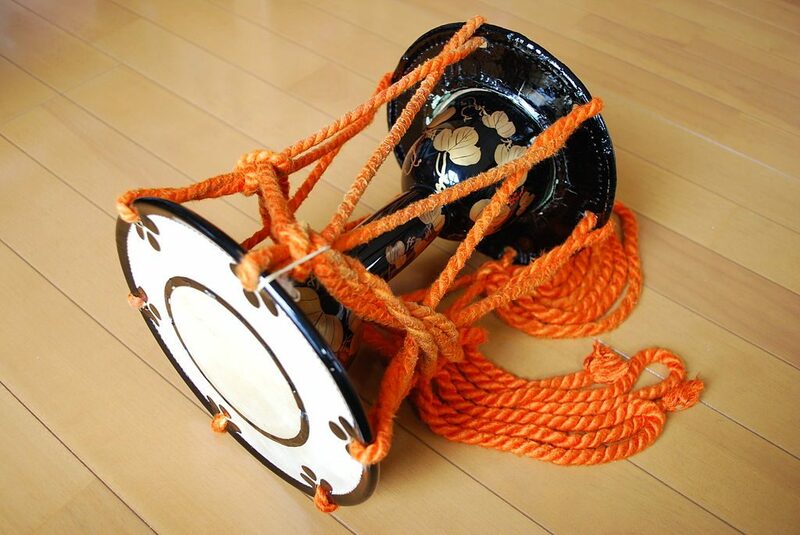 To me, it is yet another representation of the harmony that exists between modernity and tradition that the Japanese have seamlessly maintained throughout their history. 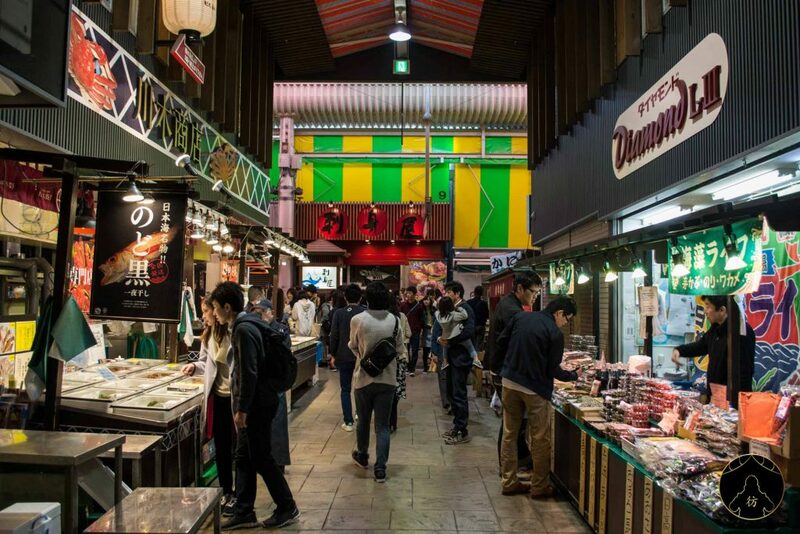 Let’s start this tour of the city with a visit to the Omi-cho market. It is a short walk from town and you can enjoy lots of good local produce and a lively atmosphere there. Why not have lunch or even a snack? 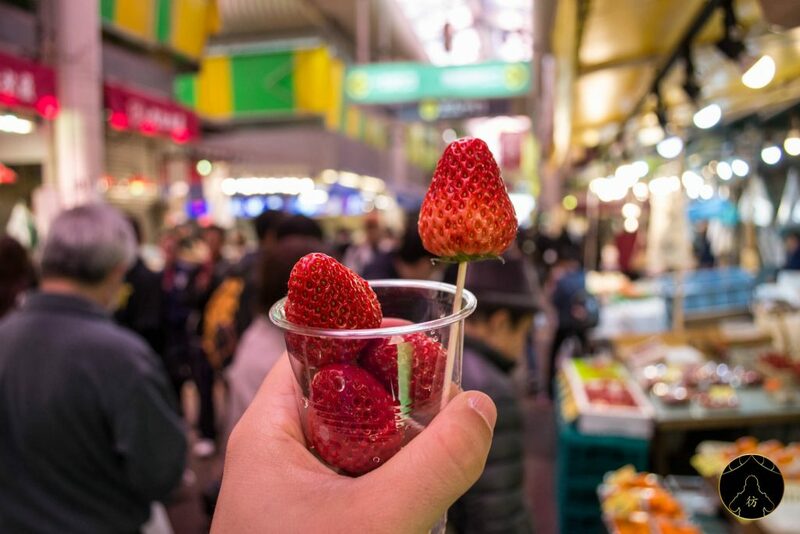 It was springtime when I visited Kanazawa so I enjoyed lots of tasty strawberries that were really delicious. See those crabs there? They’re worth 24,000 yen which is about $220! 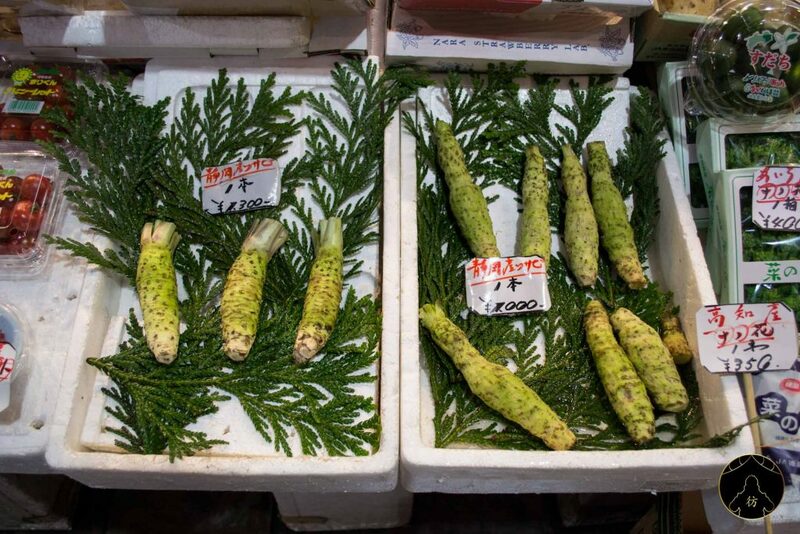 If you don’t recognize the green roots on the right, those are wasabi roots. 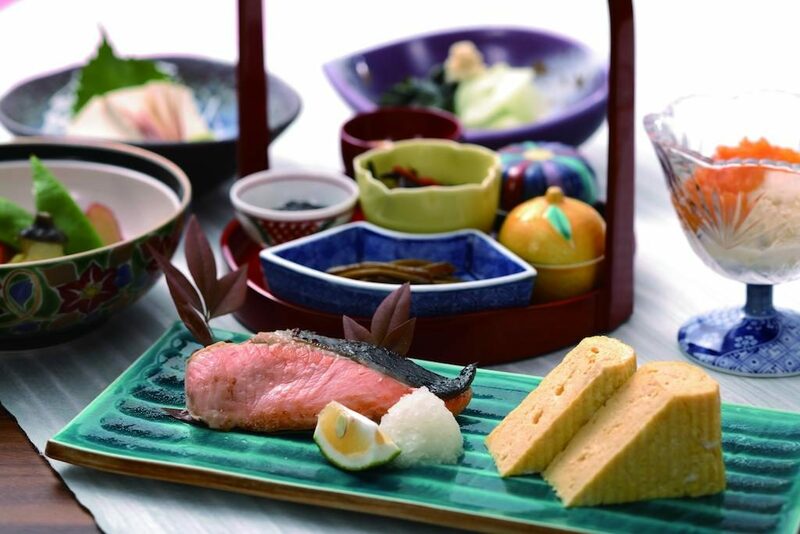 The green paste you usually see in Japanese restaurants is made by grating those roots on a sharkskin grater called oroshigane. 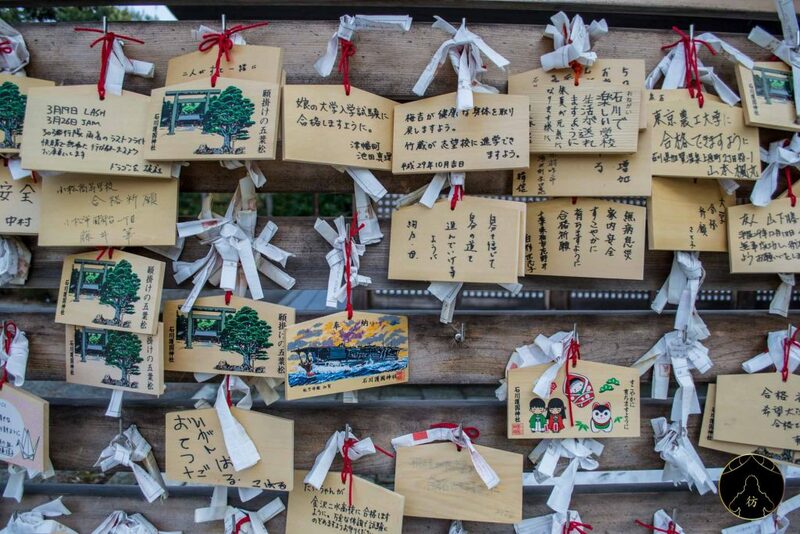 Oyama Shrine is one of my favorite places in Kanazawa. 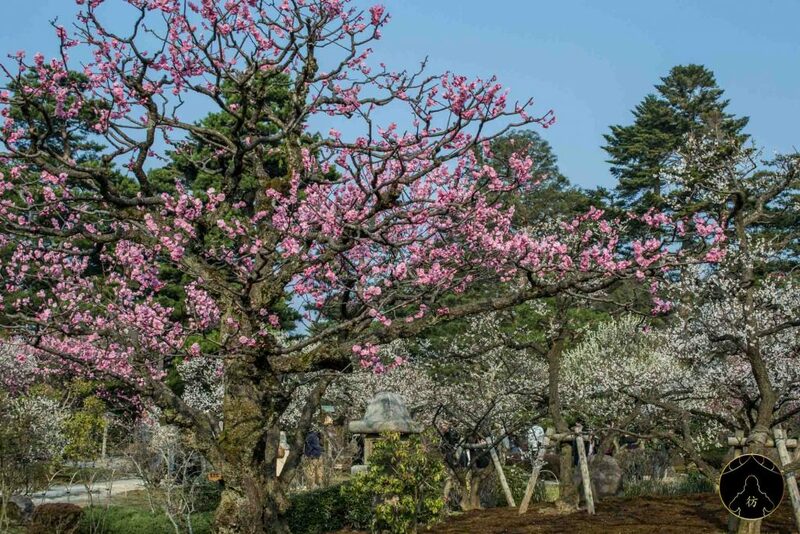 It is not very visited by tourists, yet it offers a beautiful setting that is even more enjoyable during plum and cherry blossom seasons. 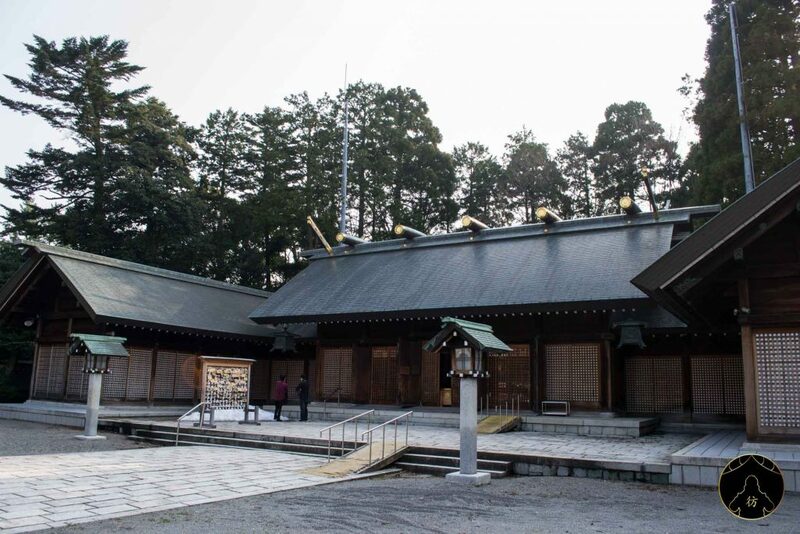 The sanctuary was built in 1599 and is dedicated to Maeda Toshiie, the first leader of the Maeda clan, who has had a great influence on the whole region. 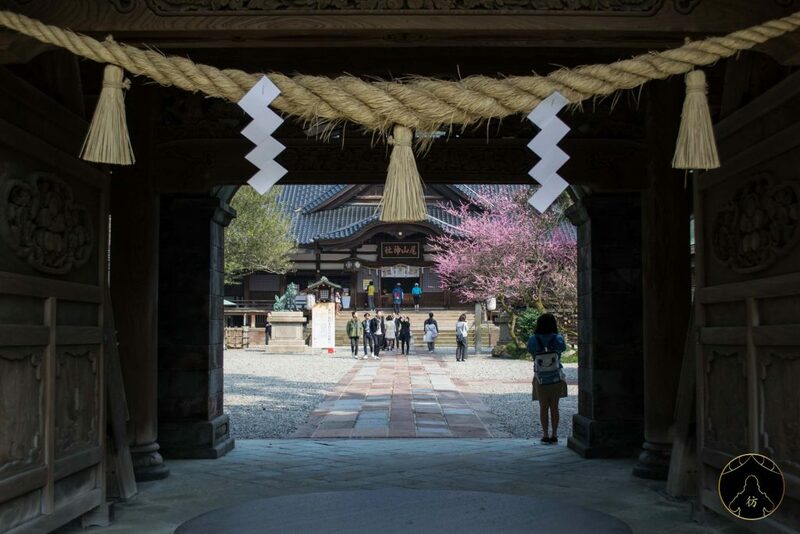 The entrance to the temple is also very special because it is a mixture of styles, with a Japanese torii in the foreground (picture above) and a very European porch in the background. It was actually designed by a Dutch architect and I think that it stands as a towering monument to the Dutch-Japanese friendship that lasted even during the Edo period (1603-1868). Japan had completely isolated itself from the world during those two and a half centuries, with the exception of the island of Dejima in Nagasaki where Dutch officials resided. 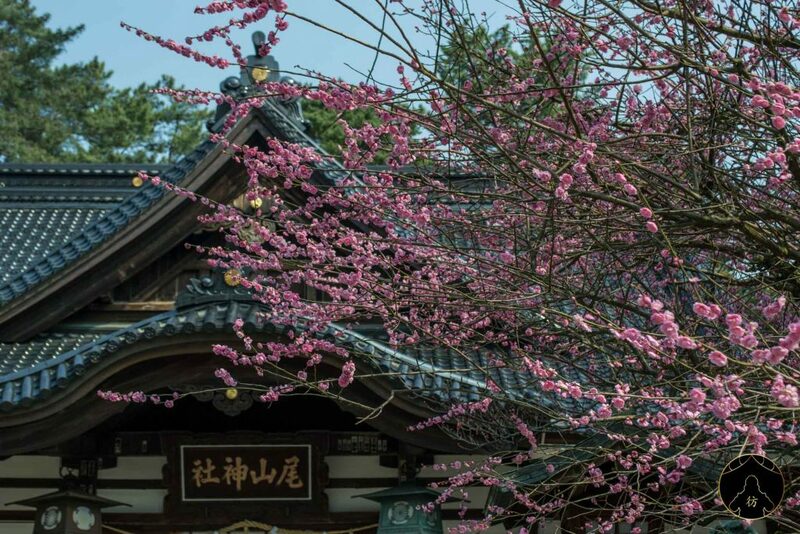 Myoryuji Temple is a Buddhist temple founded in 1643 and nicknamed ninja-dera, the Ninja Temple. The Maeda clan were afraid the Tokugawa shogunate, ruling over all of Japan at the time, would attack the temple, so they included numerous traps and pitfalls inside, in anticipation of an external attack. All of those traps are displayed inside the temple so get in there and see for yourself! You’re going to need to book your visit before going to the temple though. 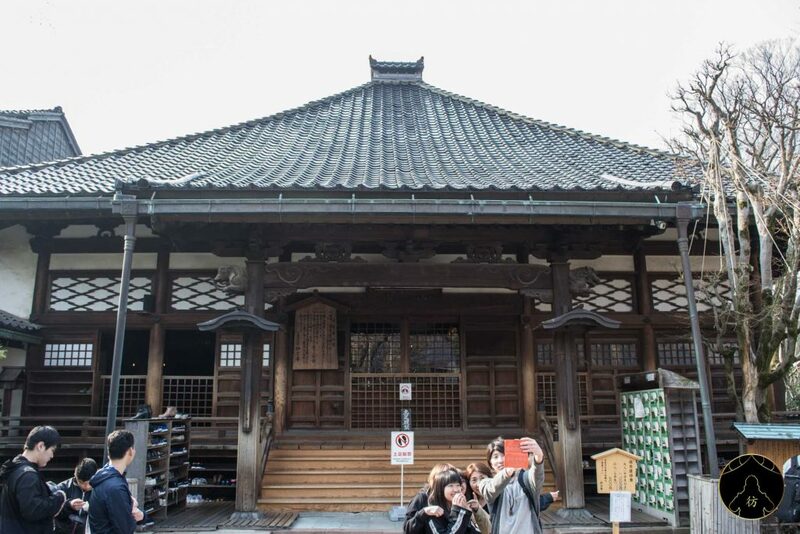 You can always do it when you get to Kanazawa but you will notice that tours are usually already sold out. To book ahead of time, there is only one way to do it: call this number 076-241-0888 and specify the date and time of your visit. If you don’t have a phone in Japan, you can ask at the front desk of your hotel if they can make the reservation for you. 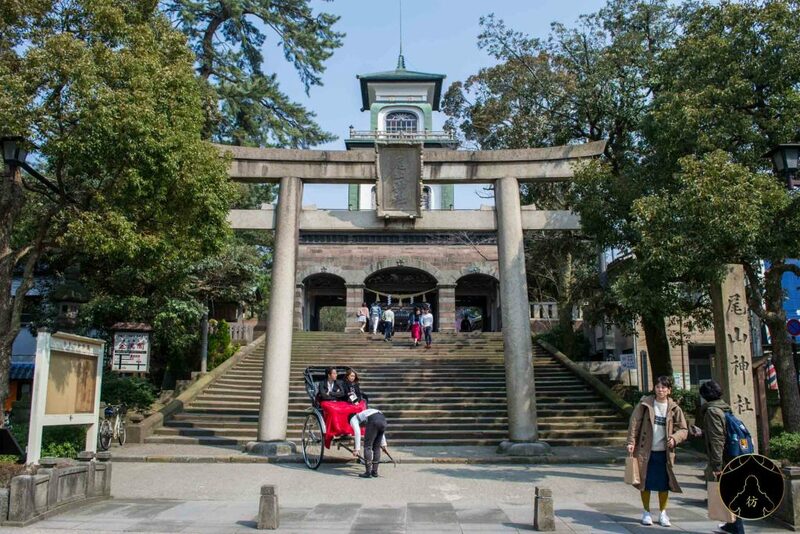 Heading north towards the famous Kenroku-en Garden, you will come across the Ishikawa Gokoku Shrine. It is a beautiful sanctuary that gives you access to the inside of its buildings. 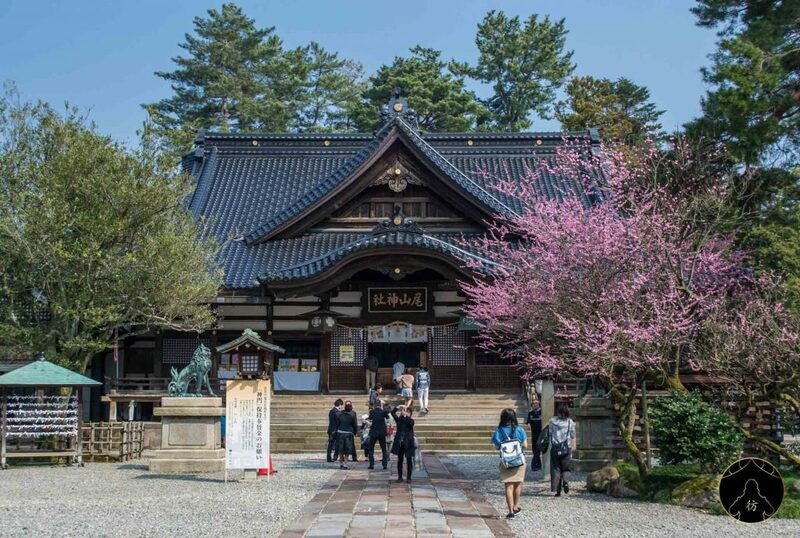 No need to spend hours wandering around the temple but it’s still a fun place to visit in Kanazawa. 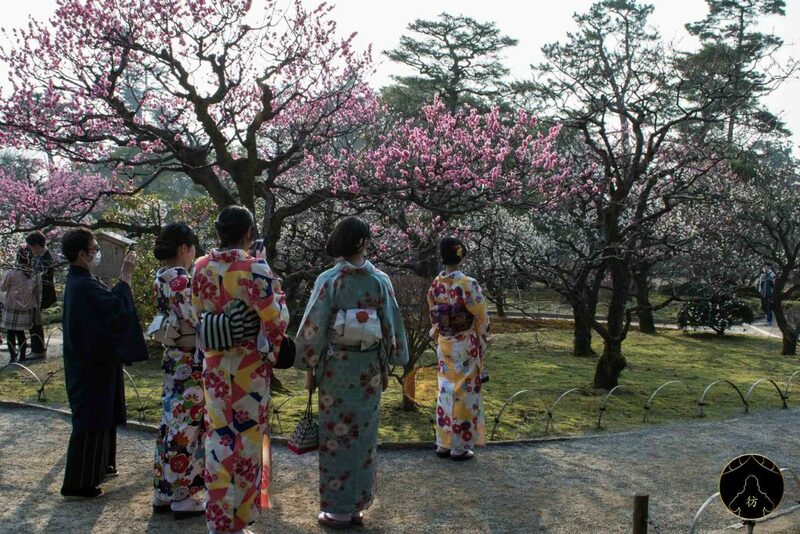 You can’t miss out on Kenroku-en if you’re visiting Kanazawa. 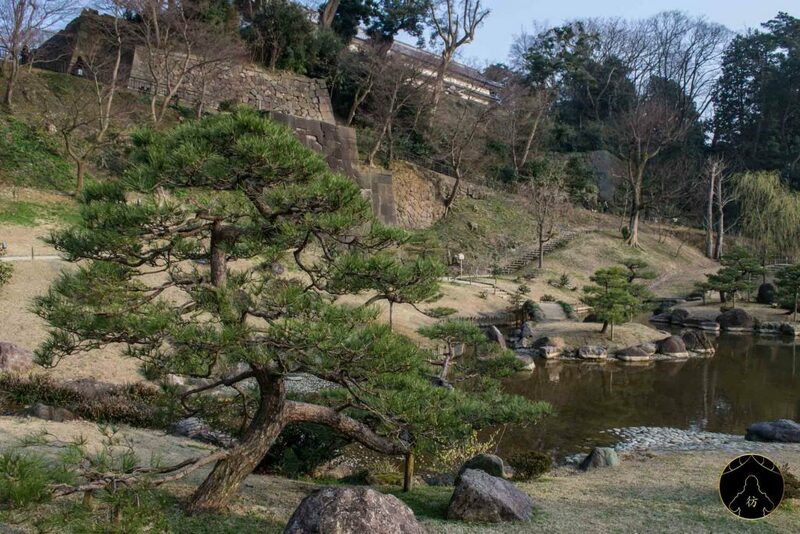 It is simply one of the 3 most beautiful gardens in Japan, along with Okayama Koraku-en and Kairaku-en in Mito. 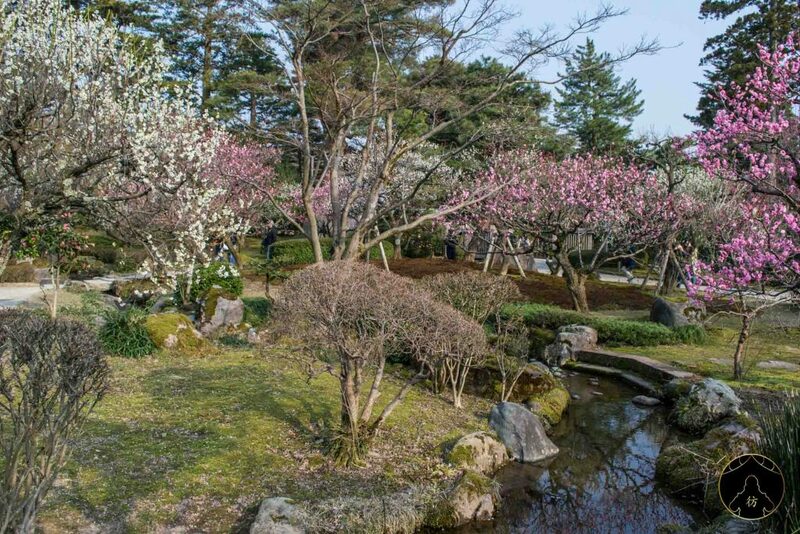 To be honest, I didn’t know that garden was so famous in Japan but when I visited it, I really felt something special that is quite hard to explain. I felt a mixture of well-being, calm and a sense of harmony as I walked through the garden. 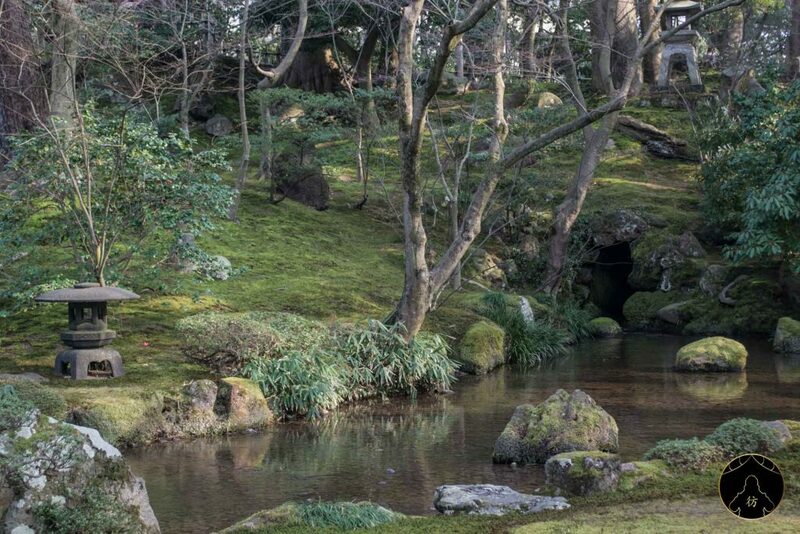 I visited many gardens in Japan but there was just something special about Kenroku-en. A great energy, I would say, and the colors of spring could only add magic to my visit. 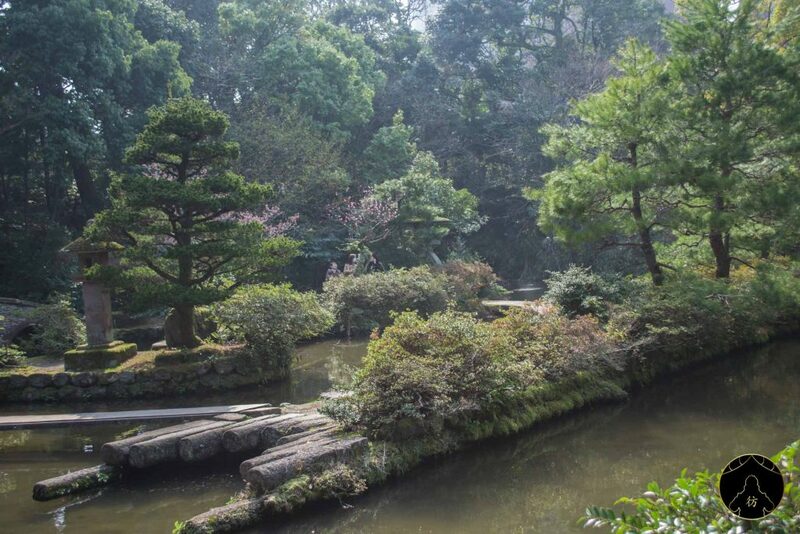 Kenroku-en is a garden you should absolutely visit. An hour or two would be great to make the most of it. 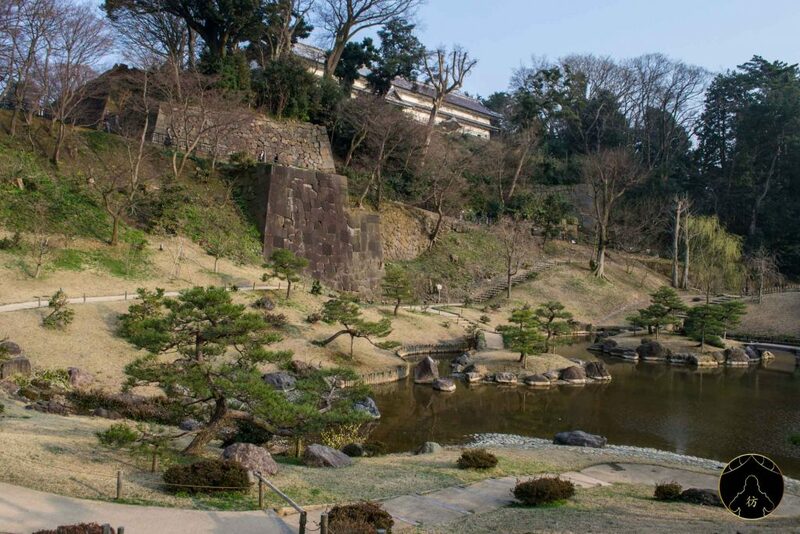 You can visit Kanazawa Castle and take a walk in its park; it’s located just in front of Kenroku-en. Kenroku-en used to be the castle’s private garden by the way, hence its proximity. It was built in 1583 by the Maeda clan we talked about earlier. 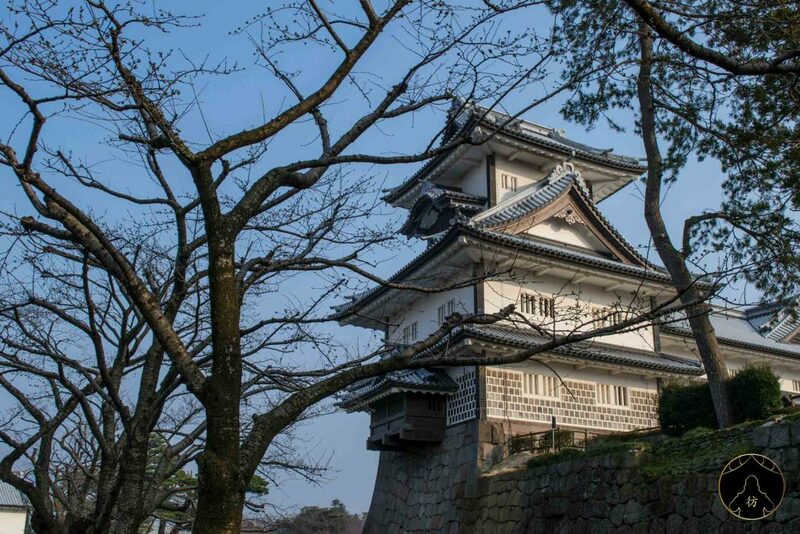 The castle of Kanazawa is of course nothing like that of Okayama or Osaka for example. In fact, it was destroyed many times by fires and other natural disasters. There are only a few buildings left today, including the beautiful tower or yagura called Hashizume-mon. 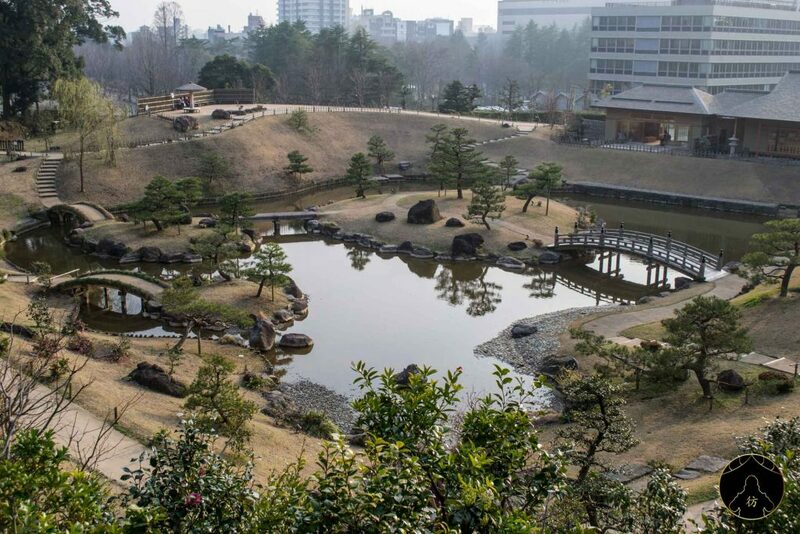 Let’s take some quiet time to have lunch in Gyokusen-immaru Park, shall we? It is a short walk from the castle and is the perfect spot to rest and have something to eat. There’s a beautiful central pond and the tranquility of this place is just amazing. 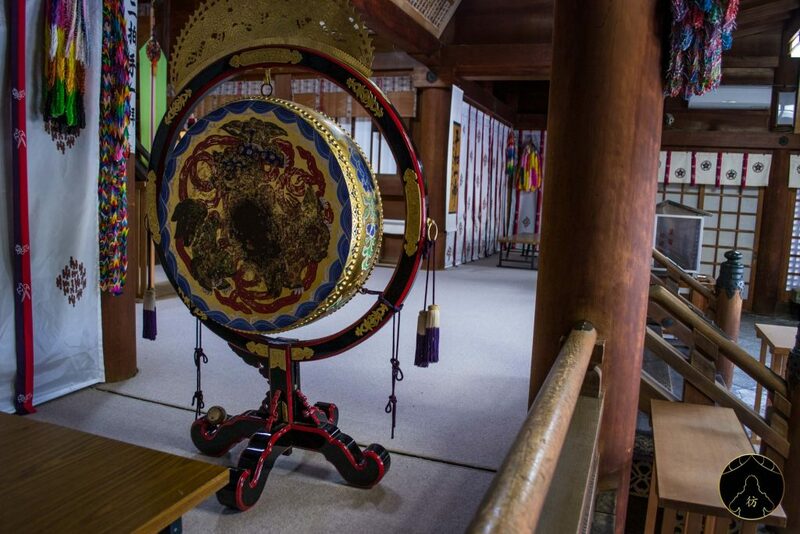 Those chaya have since been transformed into souvenir shops or exhibition halls for artists and craftsmen. Special products are sold there! Like I said, Kanazawa has become a popular destination in the Middle Ages thanks to the gold found in its lands. 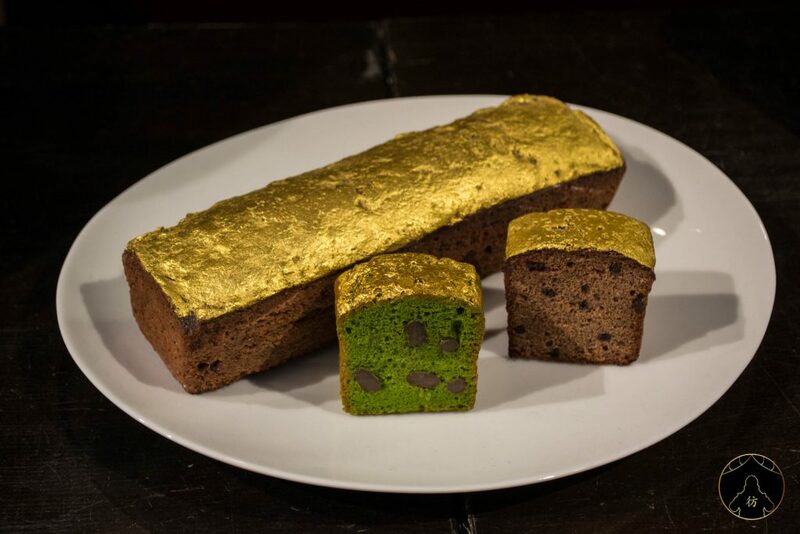 Gold mines are therefore an integral part of the city’s history, and gold leaves are still used in the manufacturing of the products that are sold there. 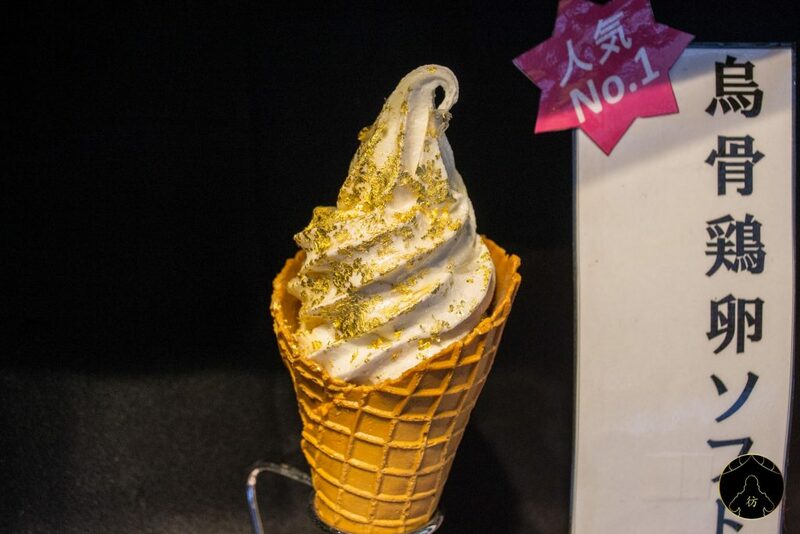 You can find tea, cakes and even ice cream made with gold leaves! Let’s wrap this up on this golden note! 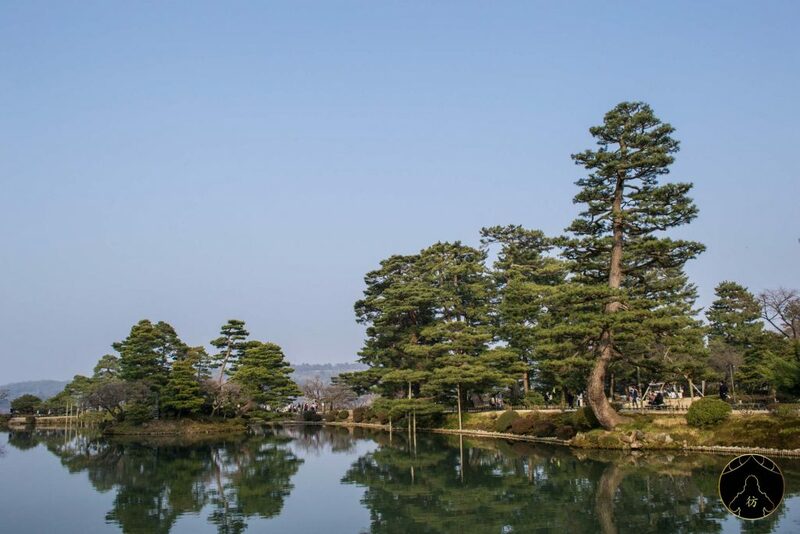 I had a very pleasant stay in Kanazawa and I’m sure you will love it too. If you have questions or comments on this post, please post them down below. Stay tuned on social media for more on my new trips to Asia: Facebook Page, Facebook Group, Instagram and Pinterest.